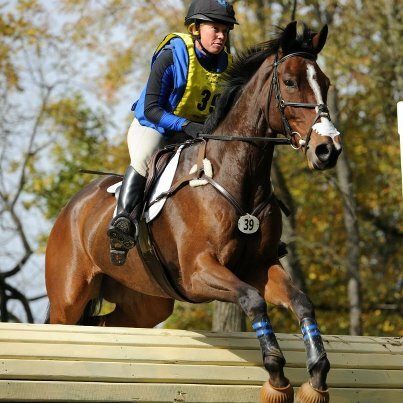 Colleen share her thoughts with Samantha Clark from EVENTINGNATION.COM about her XC rides, Shiraz and Covert Rights. Four horses went to Waredaca with Colleen. 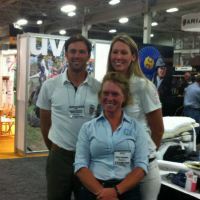 Philadelphia, PA - Colleen, Olympian Will Coleman and MATRIX Saddle Pad designer Jen Hegeman-Cooley. Colleen and Will are both avid users of their MATRIX pads. Having achieved the nigh impossible feat of arriving in England with a sound horse ready to run for his life at the historic Badminton CCI****, Colleen and Shiraz are now twiddling their thumbs upon it's cancellation, and after much deliberation have decided to stay in England and reroute to the Luhmuhlen CCI**** in Germany in June. I was delighted to catch up with her at Aston le Walls. Colleen has to reroute due to heavy rains in England. Read all about it in the Daily Mail's coverage.